Since its launch in 1989, ELLE Décor has been sharing home decor inspiration and interior design ideas with its readers. The writers have been masters of current styles and emerging trends, providing homeowners with resources for expressing their own styles. Recently, the magazine released its selection of home design trends that will be in and out in 2019. The first trend is Floral Fabrics and Wallpaper. For fun, we decided to gather some of our favorite floral examples in home décor. Take a look, get inspired, and feel free to check out the source sites for more interior design fun. In ELLE Décor’s gallery, Erin Gates of Erin Gates Design stated that the floral patterns could be “abstracted or straight up chintz”. So, whatever interior design style you’re into – formal or easy-going – you can include florals in your design and be on-trend (Woot! Woot!). Graham & Brown has been a forerunner in the wallpaper industry in the U.S. since the 1940s and has since expanded internationally. 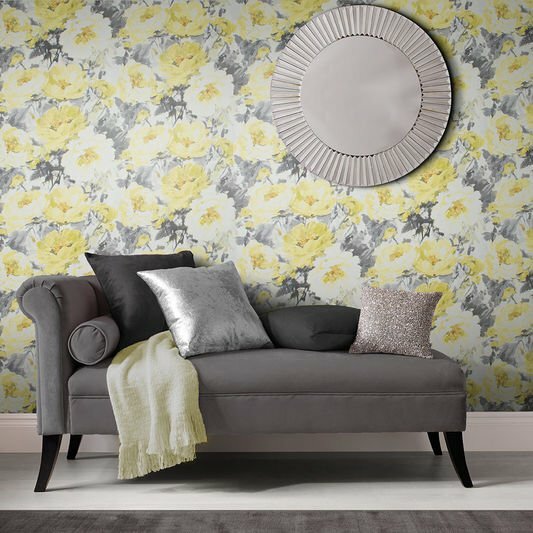 They have a beautiful selection of floral patterned wallpaper, including this Chelsea Sun Wallpaper. Like to add a touch of whimsy to your interior design? 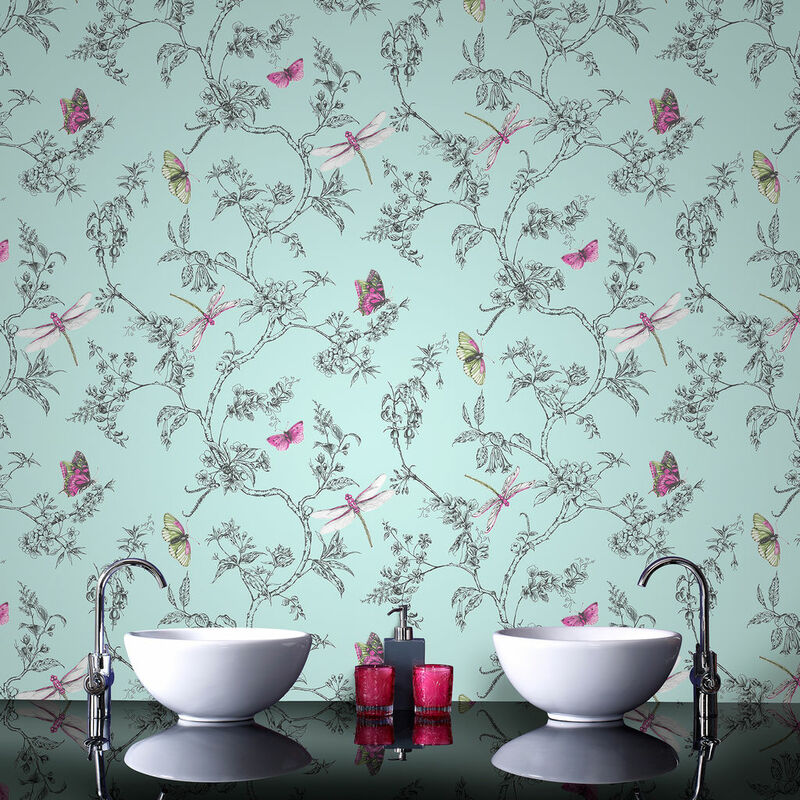 This Nature Trail Duck Egg Wallpaper has pink butterflies, moths, and dragonflies for a bit of colorful fun. 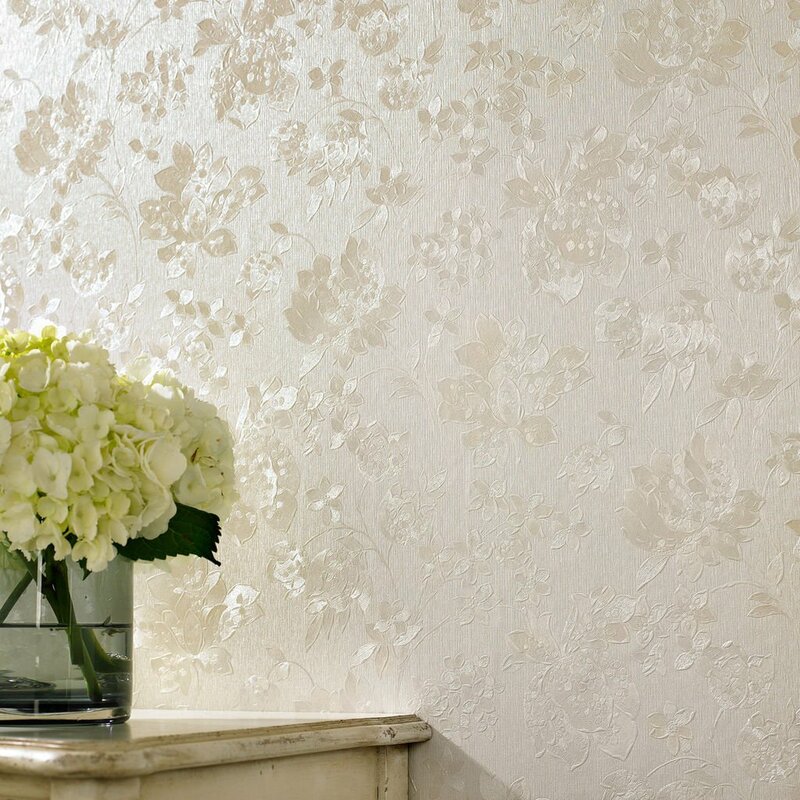 If large flowers are not your style, the Floral Silk Cream Shimmer Wallpaper is completely understated and would look fantastic in a foyer or powder room. Are you a renter? Don’t worry, there is removable floral wallpaper that you can buy, install, and remove when you transition to a new home. 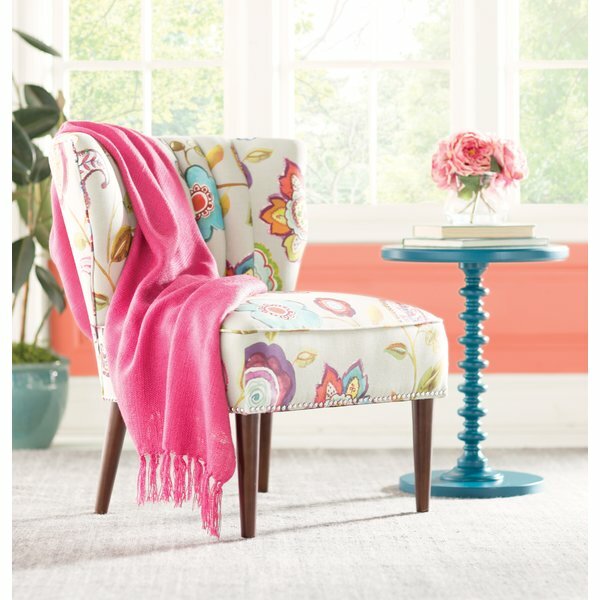 Furniture manufactured with floral print fabric is one more way to incorporate this trend in your home. There’s an endless supply of furniture with floral print fabric. They range from swanky to playful, and comfy to formal. Just remember, to really make them pop, pair with a solid wall color. On that note, Elle Décor highlighted an additional trend expected to be big in 2019 – 90% White and 10% Color. 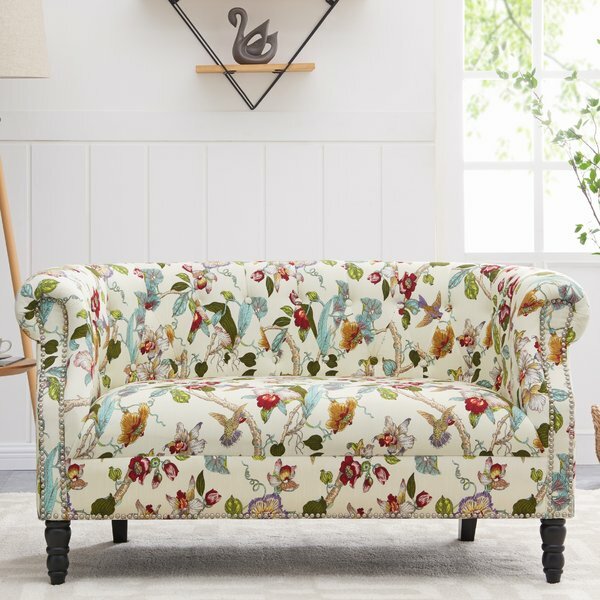 A carefully selected flora print chair or sofa could be the perfect addition to your room’s 10% color, like the highly-rated Harriett Slipper Chair from August Grove. Need something a little more soothing? 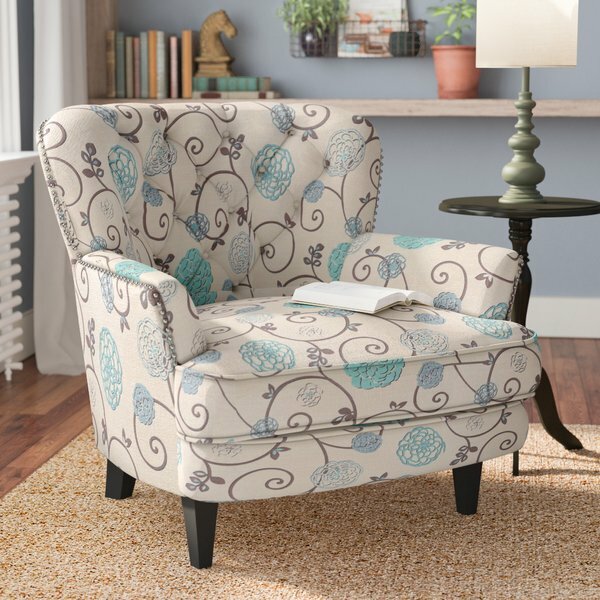 The Hamburg Armchair from Andover Mills has soothing blue flowers against a neutral cream background. Some people shy away from floral print loveseats, because they bring to mind images of their grandmother’s couch, but they can work well in the right conditions, like this Quinones Chesterfield Loveseat from Andover Mills. 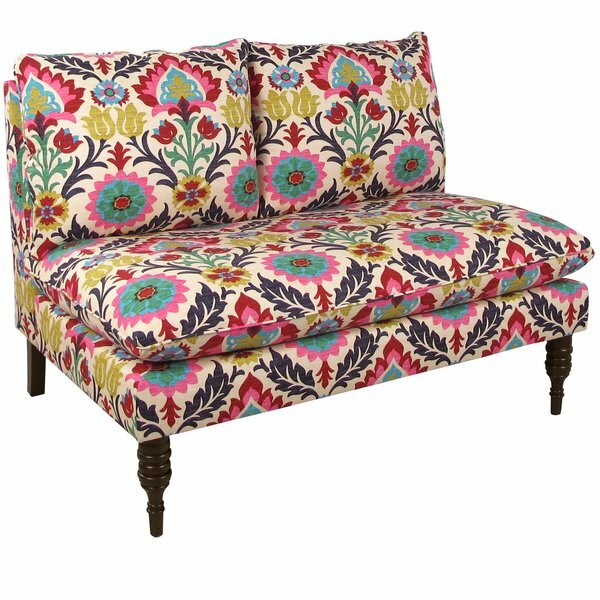 Or this Helotes Multi Colored Loveseat from Bungalow Rose, which would be beautiful in a small space, like an entryway or compact apartment. Don’t discount the power of furniture accent pieces. 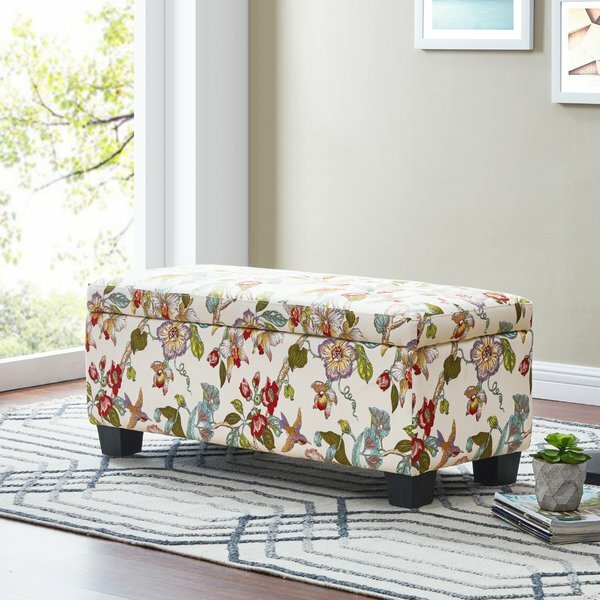 Floral print ottomans, both small and large, pair well with existing solid print furniture. Take a look at this Uriegas Tufted Storage Ottoman from Red Barrel Studios. It’s pretty and provides a place to tuck away blankets, books, and more. An alternative way to make a big impression with floral prints is through curtains. Just be careful with the execution. We don’t recommend pairing floral curtains and floral furniture. It’s too easy to make a mistake. Homeowners either get too matchy-matchy or the prints clash horribly. If you’re going to include florals in other areas of the room, like in a rug or an art print, try to maintain a similar color palette and create some visual space before patterns. These Cumberland Floral Room Darkening Curtain Panels exhibit one way to establish visual. The flowers clustered at the top of the panels increasingly give way to a neutral background on the lower half. This helps the mind accept the lower half of the room as a different space from the top. 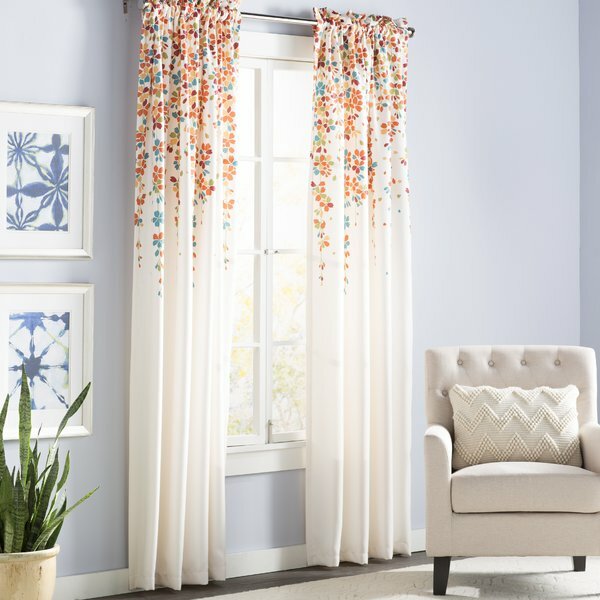 Choosing a floral print in a single hue is one way to keep your curtains from looking too busy in a room. It also makes it incredibly easy to stick to one color palette. Need an example? 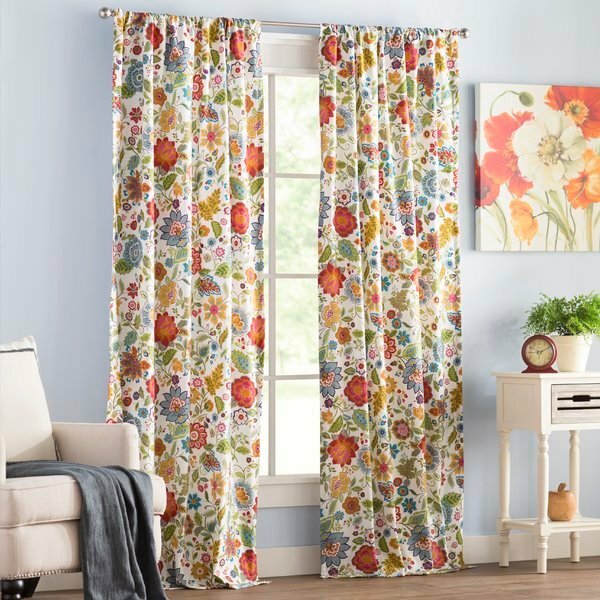 Check out these Loader Floral Room Darkening Curtain Panels from Red Barrel Studio. Of course, color can really uplift the mood of a room and draw in much-needed positive vibes. Keep the rest of the room primarily solid and pair with wall art of a similar palette and you’ll likely be safe from pattern faux pas. 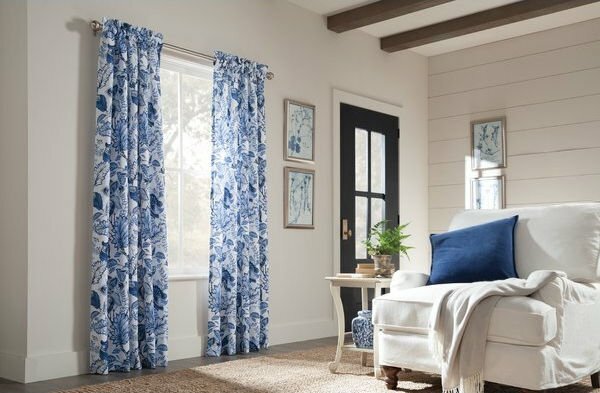 Just look at these Heartwood Floral Sheer Rod Pocket Curtain Panels from Alcott Hill and the accompanying room. If you want to update your current décor but don’t want to spend big on furniture or curtains, one of the easiest ways to do that is with pillows. 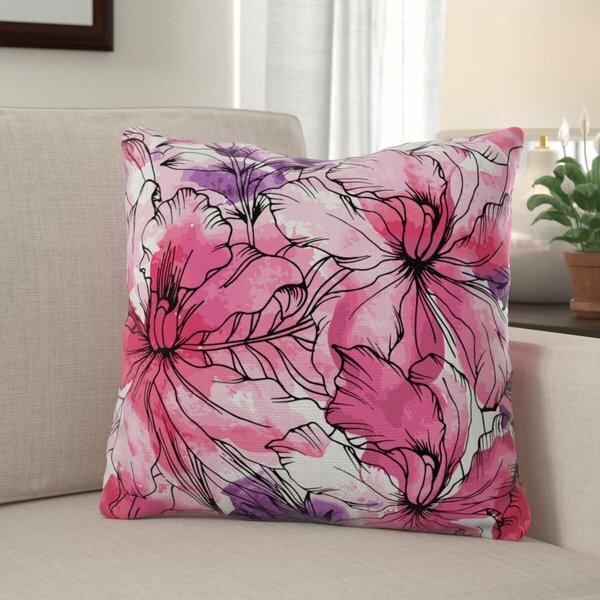 Printing options are so much more versatile for pillows than furniture fabric, so some look like absolute pieces of art, like this Marez Floral Print Throw Pillow from Winston Porter. 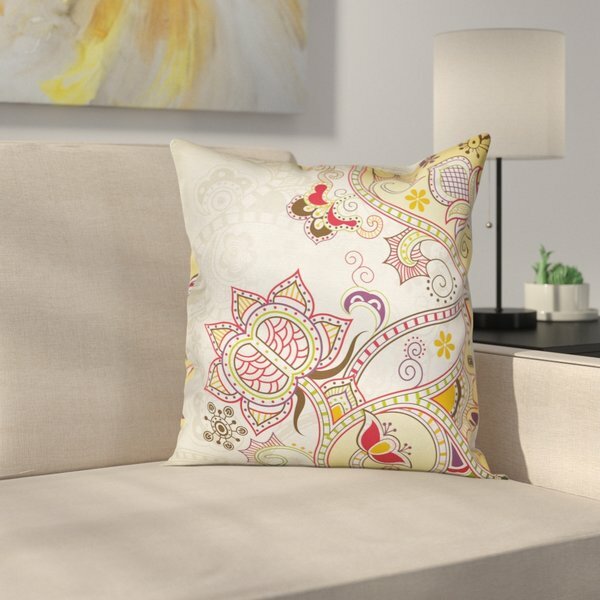 East Urban Home goes abstract with this Modern Waterproof Floral Graphic Print Pillow. The print is both fun and fade resistant. 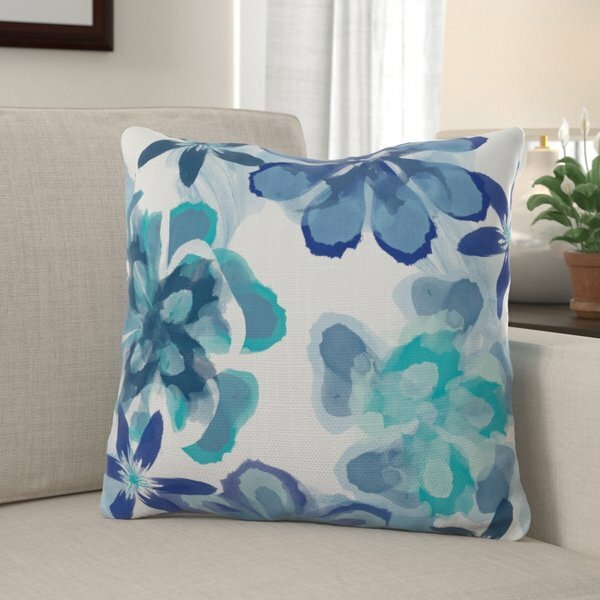 Of course, you can always go traditional with the Provincetown Floral Printed Throw Pillow from Bay Isle Home. The flowers are tropical but the color selection is traditional, perfect for a formal living room. Beach themes are huge in our coastal area and sometimes you need a little change. 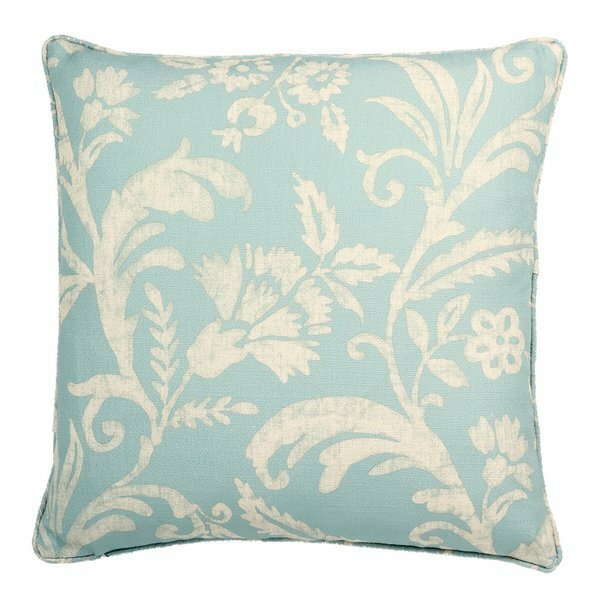 The blues and turquoises in this Markley Floral Print Throw Pillow by Winston Porter blend well with the typical ocean color palette. If you’re liking the idea of a quick update, consider adding a floral print lamp to your décor. You can easily swap out an existing shade with a floral shade, like this Oxford 9″ Cotton/Polystyrene Empire Lamp Shade from Harriet Bee. 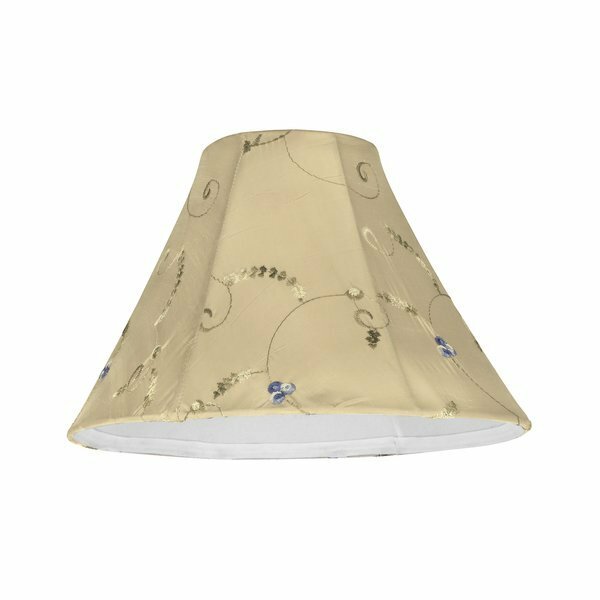 This 10″ Silk Bell Lamp Shade from Aspen Creative Corporation has understated beauty with a touch of blue in the flowers that adorn its neutral background. 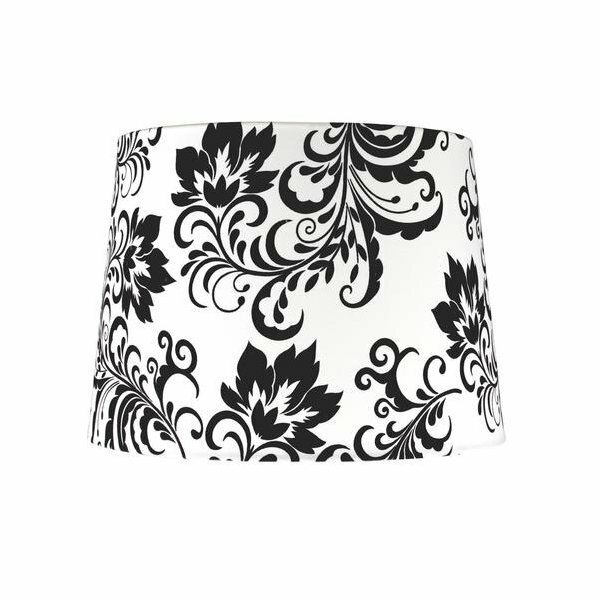 Or you can go bold and modern with this black and white 14” Cotton Empire Lamp Shade, also from Aspen Creative. 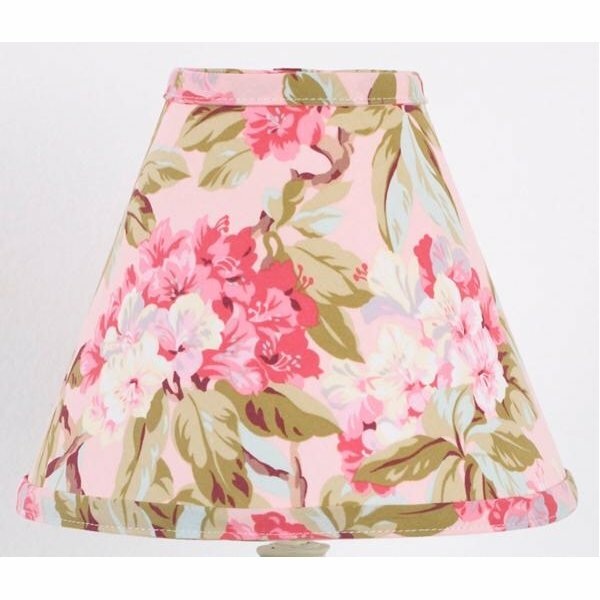 If your search for the perfect lamp shade falls short, you also have the option to make your own floral lampshade with your favorite fabric! These are the primary examples of how floral fabric and wallpaper can be included in your home décor. While floral prints can add a lovely feminine and often refreshing feel to your home, we recommend you pick one method for including them. Too many floral prints in one room can feel like an assault on the eyes. Do you have a favorite floral wall paper or fabric example? Share it in the comments! 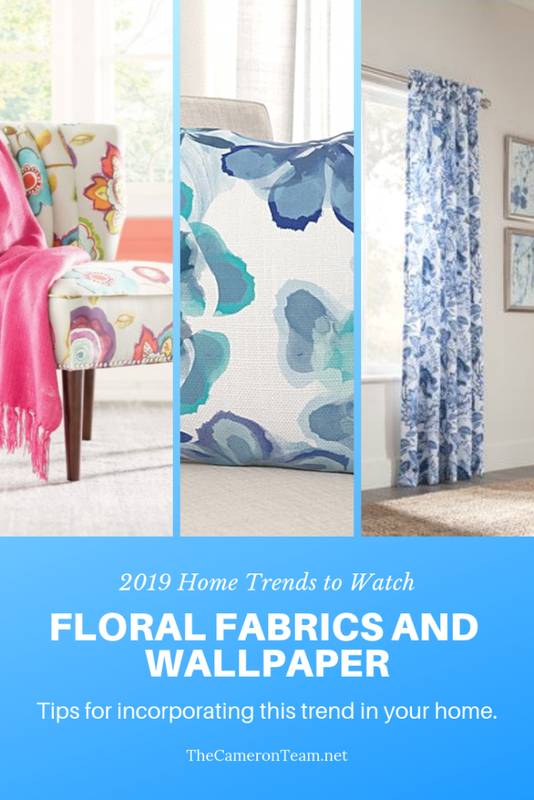 This is Post #1 in the 2019 Home Trends to Watch Series. Check back soon for the next post.